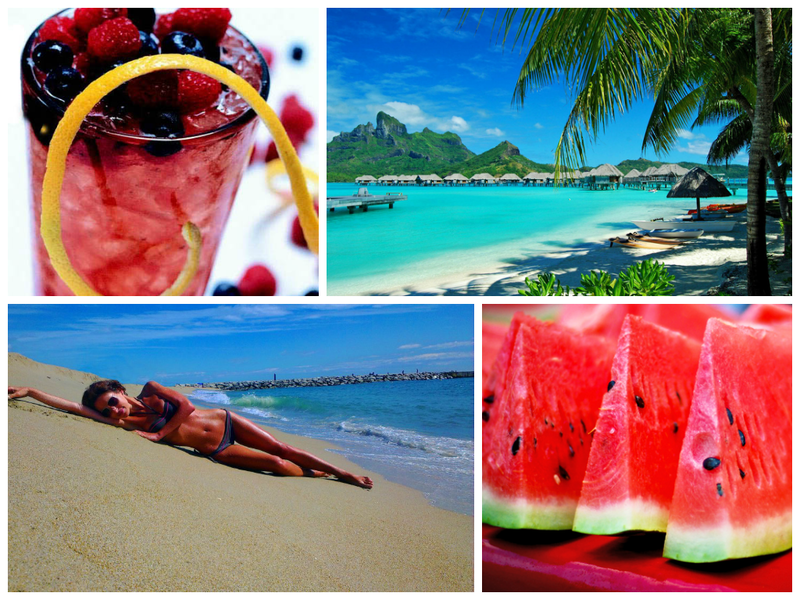 Watermelon might sound nothing more but just FRUITS that can be found at almost anywhere and everywhere! People usually enjoy eating because of the sweetness and juiciness. But, how many of you know the wonder of this sweet fruit? 1 – Good Antioxidants – Watermelon contains antioxidant such as Vitamin A and Vitamin C that helps in preventing cell damage, neutralizing and also removing free radicals. 2 – Rich in Potassium – Maintain the blood pressure. This is essential for us to maintain the ideal blood pressure to prevent other diseases such as stroke and heart disease. 3 – Concentrated Carotenoids – Carotenoids is the red pigments found in watermelon that can prevent cancer. These components also can be found in red fruits and vegetables such as tomatoes and carrots. 4 – Fats Free – Watermelon has zero fats and low in calories! A perfect finger food to lose weight! 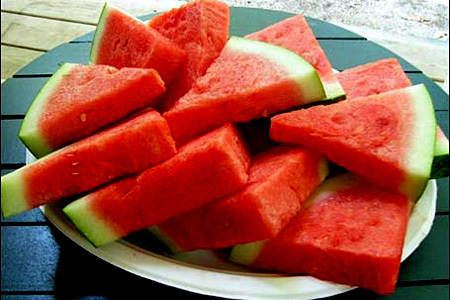 5 – Rich in Water – Watermelon has very dense amount of water that helps in rehydrate a human body! Those who do not like to drink plain water can always opt for watermelon to keep hydrated. 6 – Rich in Fibre – The fibre can assist in losing weight, avoiding constipation, preventing diabetes and also heart attack. Enjoy this delicious fruit and have a a wonderful weekend! Summer beach season is almost here, so whether you want to lose some weight or simply tone up, getting your body beach-ready will take some work and dedication. This article will teach you how to get in shape without starving or torturing yourself. Here are 6 healthy ways to get and stay in shape this summer with minimal effort and maximum health benefit. Studies have shown around 80% of any fitness goal depends on your diet, be it weight loss, muscular development or training for an event. Eating a good balance of clean carbohydrates, fresh protein and healthy fats will give you the energy to aid your fitness challenge and show results quickly.Eat at least five meals a day, but not five huge meals a day. Try to eat five small balanced meals. 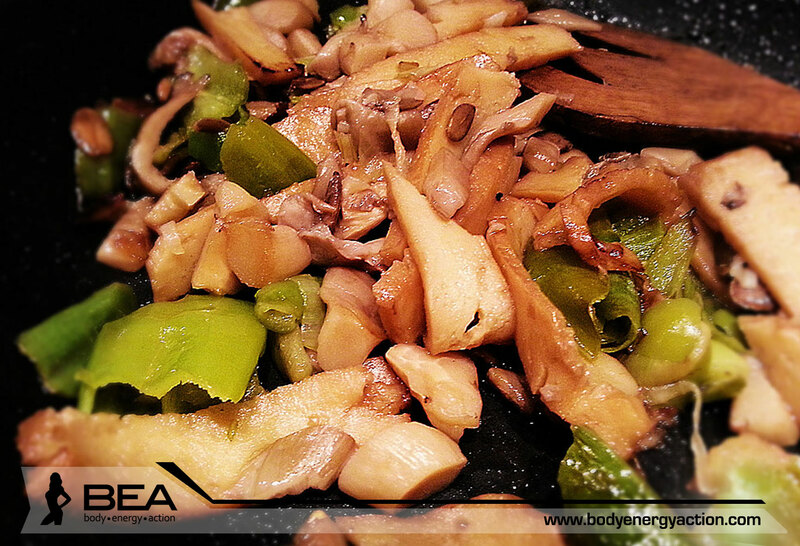 Digestion burns calories, and you are less inclined to overeat if you are not starving when it’s time to eat. If you are working in an office, just stand up and do some stretching every 30 minutes. People who sit in a desk for hours are at risk for chronic back pain. You burn 33 percent more calories when standing, and frequent walking around will help to stretch your muscles and improve your posture. Drink more water. Not only is it good for you, but it will also keep you feeling full without the calories. Not only will it keep you full, but it will also help you flush toxins out of your body. You should carry a bottle of water with you and drink often. Instead of taking the elevator, you can burn calories by taking the stairs up and down whenever you have the chance. You will burn a lot of calories just by bypassing the elevator. Give it a shot. Working out three to four times per week is a great place to start, once you have your routine, stick to it and you will see the benefits. You’ll notice increased energy levels and your body will begin to adapt. That fitness goal will become ever closer. By following these simple steps, you will be able to burn more calories and tighten up your body for summer. Although these tips may seem self evident, many people do not realize how effective they are.